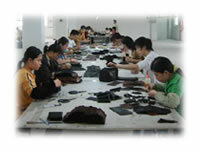 Our business began some 25 years ago as an exporter of quality leather products for markets in the USA, EC, and Japan. Throughout the years, we have re-positioned ourselves as a manufacturer / exporter to facilitate a more efficient and cost effective operation, resulting in a quality one-stop service for our customers. And by listening to what our customers want, and paying attention to market development and trends, we have built a solid relationship with major importers, private labels, and specialties stores around the world. Our ongoing corporate objective is to further enhance our service and products quality, as well as our competitiveness in the industry. 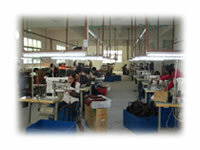 One of our key milestones is the recent establishment of a manufacturing facility in Guangzhou, Southern China. The site of our factory was selected primarily for the concentration of skilled labor resources in the region, as well as its strategic locality being near major highways. 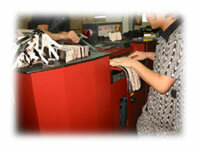 We strive to maintain the highest standards of workmanship and materials. Now, with our greatly expanded manufacturing capacity, Hillway's workforce of some 200 dedicated staff is committed to maintain quality and integrity in our products and services for our customers. We place special attention to a balance between styling and functionality in our products. By combining inputs from our customers and our market awareness, the characters of our products with respects to sizes, shapes, colors, and styling are designed with comfort, outlook, practicality, and convenience in mind. Our leathers are selected for their quality, strength, and character. 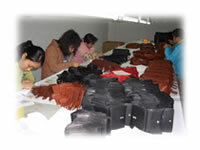 They come from reputable tanneries in Italy, Argentina, and the United States. We are also establishing relationship with quality mills in Southeast Asia in order that we can provide a full range of selection to meet our customer's price and quality objectives. From wallets to handbags, we can offer a full range of color, materials, as well as distinctive hardware to differentiate itself from others. Our Business Line features a broad range of items, including briefcases, organizers, planners, notepads, computer cases and cellular phone cases, among others. Hillway can offer a variety of handbags and accessories encompassing a wide range of leather materials and designs with the aims to address the diverse needs of causal and business end users.